This piece was composed for chamber ensemble in 2000. It has been commissioned by the Teatro San Martín from Buenos Aires, Argentina. 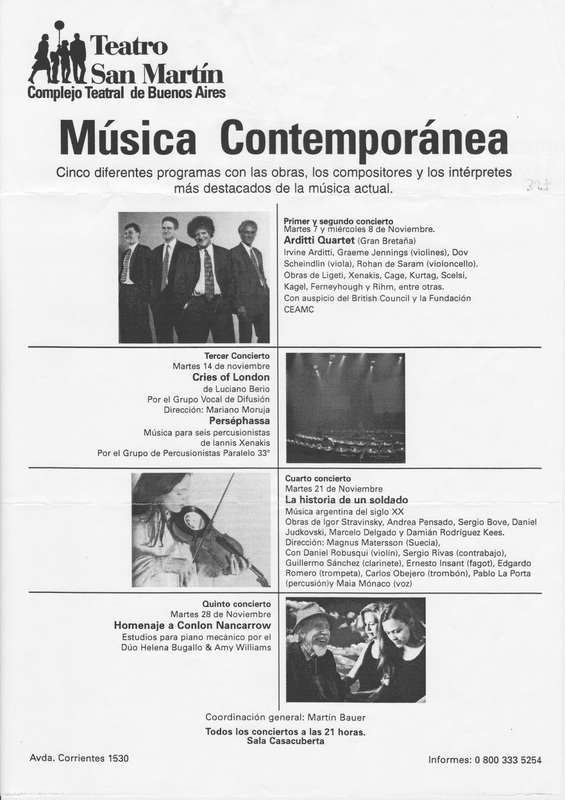 It was premiered as part of the international festival 'Ciclos de Conciertos de Música Contemporánea, IV Edición' held at that theatre in November 2000.